So I started Marry or Not (結婚好嗎? – literal translation: Is marriage good? or it can also be meant like a proposal) almost a year ago (it began airing in late November 2013) but didn’t actually finish until July this year. Yes, it took 8 months and now it’s taken me another 3 months to write something about it. Actually, I thought I had given up trying to write a post since I don’t think I remember the details anymore. But there is a reason I suddenly feel motivated!! A couple of weeks ago the paparazzi published some photos of Xiu Jie Kai, Alyssa Chia and her daughter at a park together – like a cute little family. Although Alyssa is 40 years old now, she is known as a ‘Queen of drama’ with her memorable roles in dramas such as the 2002 version of The Heaven Sword and Dragon Saber. She still has ‘goddess’ status even though she got a divorce a few years ago. My first thought seeing that news was Fang Zi Xuan (Xiu Jie Kai) & Yang Ya Zhen (Tian Xin) from Marry or Not!!!! Even Alyssa’s daughter’s name is Wu Tong (梧桐) and in the drama, Ya Zhen’s daughter’s name was Yu Tong (語桐). *mind blown* Talk about life imitating art! OK after all that, back to the drama! You can find a short story outline and the main character profiles in this post. The story mostly revolves around a wedding planning company – its owners, their two sons (the younger one Hao Ze mostly) and their employees (Tian Xin aka Ya Zhen and Ann Wei Ling aka Yi Fei). You’re a fan of Xiu Jie Kai or Tian Xin. You don’t mind daily dramas which might have some draggy episodes. You like dramas that doesn’t just concentrate on romance, there’re family issues as well. I was quite excited initially about this drama because I thought Tian Xin and Xiu Jie Kai is definitely a refreshing pair and being a daily drama with 40 episodes, there should be enough time for proper relationship development while diversifying into other areas like family issues, secondary couples etc. However, ultimately there were key elements missing from the ‘main’ couple so it all feels like a missed opportunity. However, the other two couples were really fun to watch and at times, I enjoyed their interactions more than Xiu and Tian Xin! The last stretch of episodes though (maybe from 32 to 40) were weaker since it concentrated mostly on the family issues which wasn’t that exciting. Overall, the storylines were nothing new but it’s still a decent drama with charismatic leads. As this drama focuses on three main couples (there’s a fourth pair but I found them to be mostly annoying), I’ll talk about them individually. Since Tian Xin is about 7 years older than Xiu Jie Kai in real life, on paper you would’ve expected an noona-doonsaeng element to feature in the drama. However, I don’t think they ever addressed that age difference in any significant detail. Probably because the age difference between the characters was only three years. It was always about Ya Zhen being a divorced single mum while Fang Zi Xuan is the carefree, seemingly going to be forever single divorce lawyer. I must say it’s not that I don’t like this couple – it’s just that for me, the missing element is some explanation of why Fang Zi Xuan changed. (I know it’s such a typical storyline, for the one who says he’ll never get married to eventually find the female lead and willing to settle down.) Especially when at the beginning of the drama, he recently broke up with his girlfriend because she wanted to get married and he did not. He was actually so determined against it, it was pretty cruel. So for him to meet Ya Zhen, jump into another committed relationship within 12 episodes, that’s pretty quick. So in the 40 episodes timelines, based on my sketchy memory I would say the first 12 was about Ya Zhen and Zi Xuan getting together, 3 or 4 episodes where the ex-girlfriend tried to mess things up, somewhere around 25 was where Zi Xuan was willing to get married because Ya Zhen’s ex husband wanted custody of her daughter… and then a bunch of family issues in the last 8 episodes. It just felt like as the drama went on, the less interesting this couple became which was a real shame because I really wanted to like them. Plus because by the half way mark we know Zi Xuan isn’t really as ‘anti-marriage’ as he seemed, the ending was always going to go in the happy direction. Both actors did a good job here. Tian Xin is dependable as usual and Xiu Jie Kai seemed comfortable in his role. I don’t necessary ‘love’ this couple but seeing them on screen is always welcomed. I don’t know whether I like this couple more, or Mei Li and Guan Jun more! In contrast to the main couple, the relationship between Yi Fei and Hao Ze took its time and I believe they had the most ‘complete’ development. Yi Fei is a highly competent wedding planner brought in by the owners at the same level as Ya Zhen. So initially, she was presented as workplace rival to Ya Zhen. Also, there was a connection between Yi Fei and Zi Xuan others mistaken to be romantic, but later on we find out they’re actually step brother/sister. Hao Ze (Sean Lee) is the second son of the wedding planning company owners. Like his older brother, his parents wanted him to work in the family business but with an interest in painting, he wanted to carve his own path. When he scrambled to family pressure to work in the wedding planning company, he falls for Ya Zhen although she clearly treats him like a younger brother (or baby). There’s a scene where she tickles his chin and make baby noises. It was really disturbing considering Hao Ze is supposed to be 30 years old?!? Yi Fei was very curious as to why two men in her life (Hao Ze and Zi Xuan) were both interested in Ya Zhen. So initially, she wasn’t the most likeable character. However, Hao Ze is the opposite. He’s easy going, optimistic, a little naive but in summary, like a ray of sunshine. As he slowly accepts his love for Ya Zhen is not going to be reciprocated, Yi Fei was by his side as a friend. 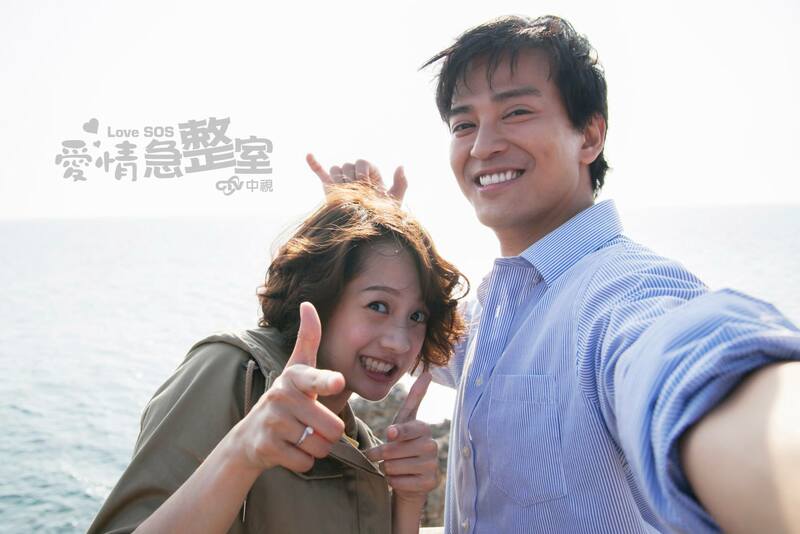 Of course, feelings develop between them and you see Yi Fei opens up and smiles a lot more. I find their interactions very cute and I guess their relationship is more of the typical idol drama. This was the first major role I’ve seen Sean Lee and I can’t believe he’s the same person as the Head Chef in Pleasantly Surprised / Love Myself or You. Judging from his acting alone in Marry or Not, I thought Sean was like 25 years old (max). I didn’t realise his character was supposed to be 30! So in a way, you can say Hao Ze is still a big kid. Yi Fei is the mature one in the relationship. But each of their strengths and weaknesses help each other become a better person. Now both actors I have never seen before so I’m coming in with a clean slate. He Mei Li is Ya Zhen’s aunt (Ya Zhen’s grandmother is Mei Li’s mother) but because Mei Li is actually younger than Ya Zhen, YZ calls her ‘little auntie’. Seeing YZ with a daughter already, Mei Li might proclaim that she’s happily single, but in fact she hates to be alone and yearns for a family of her own. She’s a very competent in her job and manages a real estate office. Some years ago, she chose her career over her boyfriend Chen Guan Jun. He was going overseas to study but Mei Li didn’t want to follow him since she wanted to stay in her job. While Mei Li now has a successful career, Guan Jun didn’t do so well. He graduated from law school but haven’t been able to pass his exams to practice law. He works as a legal assistant for Zi Xuan and pretty much worships the ground he walks on. When Zi Xuan decides to open his own firm, he only asked Guan Jun to follow him. Although the friendship seems one sided, Zi Xuan respects Guan Jun a lot as well because they have different skills. Zi Xuan might be a great lawyer, he is difficult to get along with. Guan Jun is friendly and easy going so they complement each other. I normally loathe this type of stereotypical character (and Mei Li can test my patience with her ‘woe is me’ moments) but overall I really enjoyed watching this couple! In a way, I think they both regret breaking up years ago but both are too proud to admit it. It’s evident they still love each other but both of them don’t want to be the first one to admit it. Their bickering is really cute. I do have one complaint though – what is with Lance Yu’s tan?!? He looks ORANGE. That colour is completely weird and should be banned. 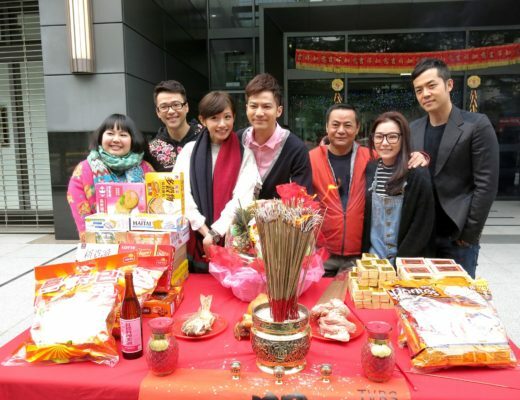 Within the wedding planning company, the older brother of Hao Ze and his new wife was also a focus in some episodes. It was mostly about conflicts between mother & daughter-in-laws. I didn’t really enjoy that part of the story though. Hao Ze’s older brother just seems way too indecisive and such a ‘mamma’s boy’. Luckily, only about 2 or 3 episodes were devoted on them. As for the family drama, I think it might’ve been more tolerable if they spaced it out throughout the episodes instead of lumping it all at the end. I struggled getting through the last 5 episodes just when a drama should really be delivering something great at its end. Also, since it was about the relationship betwen Zi Xuan and his father, maybe if we explored that earlier the writers could tie that in with Zi Xuan’s 360 degree change. OK this was supposed to be short review and look where it’s got me!!! Looking at the other ratings I put on MyDramaList, the 8.5 I entered for Marry or Not seems quite high. I guess there were some annoyances throughout this drama but overall, I would still recommend it for the charming leads and interesting secondary couples. Sounds like Tian Xin/Xiu Jie Kai’s OTP got sorta dragged down by the continuing drama with the ex-gf, etc. I think Tian Xin & Xiu Jie Kai look really good together o_O It’s surprising that the drama didn’t make it into an older woman-younger man romance kind of thing…which I think is actually a good thing? I like how they didn’t focus so much on the age differences for once. Yeah mainly the family issues bogged down the couple, or maybe it’s because their cute moments were mostly in the beginning of the series that by the end, (months later) I had forgotten about them!!! LOL. You remind me that I have to pick this back up. I liked what I watched but wasn’t in the mood for 40 episode drama at that time so I kinda put it aside. I heard that it gets a little bit draggy in the end and I hope it won’t turn me off, if not I just have to fast forward. I really like this pair, very well-matched and their interactions are so romantic. Yes it was a decent series and definitely a good pair, more mature of course but they still had their cute moments, although those were more concentrated in the beginning. It’s just the family stuff in the last bunch of episodes, you can probably guess how it ends so the fast forward button is your friend.